Good entertainment is hard to come by, but not in Wisconsin. From performing arts to other forms of live theater, there are tons of beautiful venues throughout the state. In the warmer months take the fun outside at some of the best outdoor theaters and once the cold sets in hibernate in some of the most historic buildings. Here are the 10 best places to see live theater in Wisconsin. Located in Appleton, the Fox Cities Performing Arts Center hosts events throughout the year. From musicals to popular Broadway titles. Find out why the community gathers together at this beautiful theater hall to support the fine arts. This community theatre is a special collaboration between six different theatre companies. The theatre’s website states that “audience members are transformed, enlightened, entertained and invited into the conversation about who and what this community is.” Explore the stories of Madison-area artists through performance arts at the Bartell Theatre. The Al. Ringling Theater opened in 1912 and has been in operation since. The theater was built by Albert Ringling, of the circus Ringling Brothers, for $100,000. Big-name stars such as Academy Award-winner Lionel Barrymore and Mary Pickford, one of the original 36 founders of the Academy of Motion Picture Arts and Sciences. Built in 1899, the 890-seat Grand Opera House once stood at the location of today’s Grand Theater. In 1927, the Grand Opera House was destroyed and later that same year, the Grand Theater was opened. According to its site, “the passion of drama, the grace of dance, and the power of music have come alive within the walls of the Grand Theater.” Today, the theater hosts over 300 events per year. Located in tourist central, Wisconsin Dells, lies the Palace Theater. The Palace Theater specializes in producing classic Broadway musicals. Not only Broadway hits but Disney favorites and tribute artists. Make memories with the entire family while enjoying live entertainment at the Palace Theater. This not-for-profit, community theater organization was the first theater in the state of Wisconsin to be built entirely by a community theater group. With help from thousands of volunteers since its incorporation in 1954, Sunset Playhouse has expanded into a true theatrical wonder. Each season, Sunset produces eight Furlan Auditorium Productions, which consists of comedies, mysteries, musicals and dramas. There is also three professional series’, a five-show cabaret, and a three-show children’s series. It was the summer of 1959 when a group of friends got together with a dream to revitalize the culture of Milwaukee. The result? The Skylight Music Theatre. 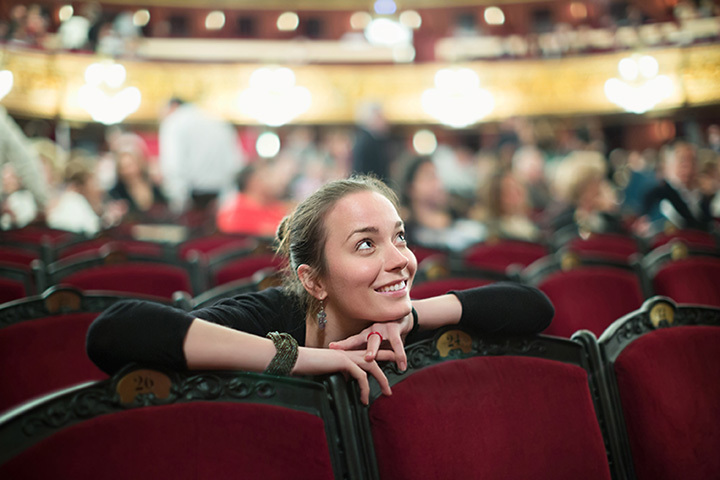 With a unique history and a wide range of events, the Skylight is known for covering baroque opera, European operetta, Broadway musicals, contemporary chamber operas and original music revues. The Falls Players Community Theater provides an affordable family-friendly theater experience. For 40 years, the Falls Theater has been delighting locals and tourists alike. Check out their food and drink options prior to the show. The Wisconsin Union Theater prides itself by showcasing some of the greatest performers of our time—and some not so well known. Form musical, to theater performances alike you will be sure to be charmed by their unexpected acts. Madison is the perfect place to have a night on the town—start out at the Union Theater. As the only year-round professional theatre company in Door County, Third Avenue Playhouse has a mission “to entertain and educate by provoking though, laughter, and tears.” Third Avenue Playhouse was born when the Sturgeon Bay community came together to save the closed-down Donna movie theater. The playhouse has hosted productions such as “Guys on Ice,” as well as hosted the well-known Door County Bluegrass Camp featuring local and national artists.